Calvary Baptist Church was organized for the purpose of advancing and promoting the worship of God through the reading and study of the Holy Bible as the revealed word of God, the teaching and preaching of the Gospel of our Lord and Savior, Jesus Christ, conducting regular services of worship and instruction for the spiritual training, development and benefit of each member and for the winning of souls to Jesus Christ. Our church is missionary in spirit, extending the Gospel through our organized religious channels to the entire world. We are an autonomous church body with a congregational form of government. We are affiliated with the Dan Valley Missionary Baptist Association, The Baptist State Convention of North Carolina, The Southern Baptist Convention, The Cooperative Baptist Fellowship, and The Baptist World Alliance. Most of all, we are a fellowship of Christians who share a special love for God, a care for one another, and a concern for the physical and spiritual well being of all people everywhere. We call ourselves Calvary people because the cross is the source of our salvation and our church is the expression of His presence in our lives. Having been led by the Spirit of God, to receive the Lord Jesus Christ as our Savior, to make a public profession of our faith, and to be baptized; we do now, in the presence of God and one another most solemnly and joyfully enter into covenant with one another, as one body in Christ. We engage, therefore, by the aid of the Holy Spirit, to walk together in Christian love, to strive for the advancement of this church, in knowledge, holiness, and comfort; to promote its prosperity and spirituality; to sustain its worship, ordinances, discipline, and doctrines; to contribute cheerfully and regularly to the support of the ministry, the expenses of the church, the relief of the poor, and the spread of the Gospel through all nations. We also engage to maintain family and secret devotions; to religiously educate our children; to seek the salvation of our kindred and acquaintances; to walk circumspectly in the world; to be just in our dealings, faithful in our engagements, to exhibit character becoming a Christian, and to be zealous in our efforts to advance the kingdom of our Savior. We further engage to watch over one another in brotherly love; to remember each other in prayer; to aid each other in sickness and distress; to cultivate Christian sympathy in feeling and courtesy in speech; to be slow to take offense, and to always be ready for reconciliation as our Lord has commanded We moreover engage that when we remove from this place we will, as soon as possible, unite with some other church, where we can carry out the spirit of this covenant and the principles of God's Word. 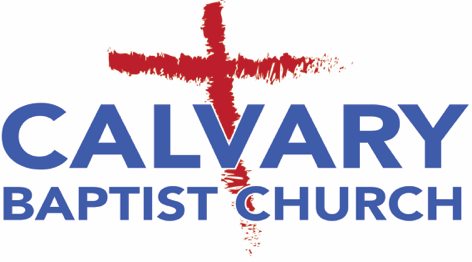 Calvary began as a mission point of the Reidsville Baptist Church. As those friends came and helped a little group of people here who were trying to have a church, worship was moved from the bush arbor into a small log cabin. In the spring of 1898, a one-room church building was erected. On August 30, 1901, the people attending the mission station met to constitute a Missionary Baptist Church with 22 persons presenting themselves to make up the charter membership. They were: J. J.. McCargo, Edd Scott, Alex Delancy, J. L. Moore, D. T. Moore, R. J. Moore, and D. M. Moore; also Mrs. D. M. Moore, Mrs. Martha Delancy, Mrs. Martha Foster, Mrs. Permelia Cantrell, Mrs. James L. Moore, Mrs. Layton Ford, Mrs. Anna Dill, Mrs. James Combs, Miss Minnie (Moore) Hudson, Miss Mary Lee Moore, Miss Mattie Delancy Michael, Miss Jennie Combs, Miss Martha Lovelace, Miss Della (Newnam) Carter, and Miss Mary North. These constituting the church, Rev. F. H. Jones accepted a call to become its first pastor. Others came immediately to unite with the church as a result of revival services, and the first deacons of Mt. Calvary were J. J. McCargo, Joshia Newnam, and D. M. Moore. The Church was received into the Piedmont Association in the fall of 1901. The building, having been the property of the Reidsville Church, was deeded to the trustees of the new church; and was dedicated to the Lord in September, 1904. The Church was received into the Dan Valley Association in 1948, after having voted to make the change. In 1958, because of the growth the church had experienced, the need was felt to call a pastor for a full-time ministry, rather than to continue on a quarter-or-half-time basis as in the past. The present house of worship was first occupied in November 1954 and dedicated March 27, 1955. The old building was converted into Sunday School rooms, permitting the Sunday School to be fully departmentalized for the first time. The present educational building was first occupied in November 1962, and the present parsonage in April 1963. Our work is not completed. As our past is a memorial to lives of dedication to God, of love and toil; so our future together will sing praises to Him as we reach out to others with the gospel of our Lord.